The Misadventures of P.B Winterbottom is an Xbox Live Arcade game with some style. 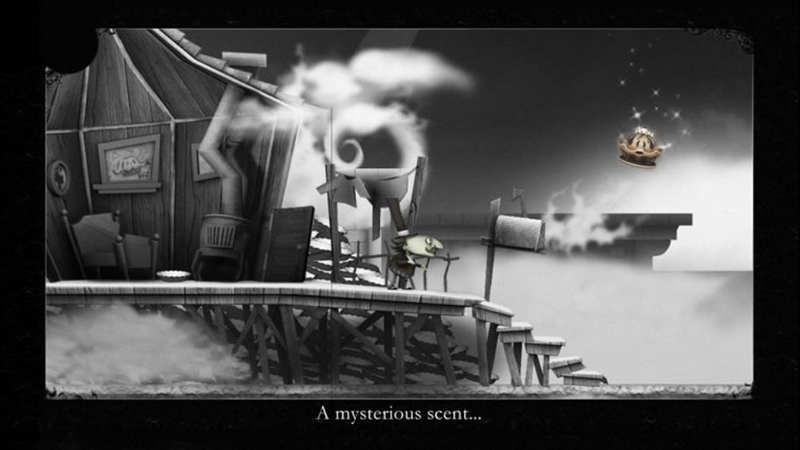 The silent-film look of the game is one of the great features of the game, alongside the music and interesting story. It involves P.B Winterbottom, a man on a mission to eat all the pies he can find, although this leads him into some sort of time portal which gives him the ability to clone himself in different ways. Each world is about 5-10 levels, and the rules of beating each level will change how you obtain pies since the rules of using clones will change throughout the game. It's only a few hours long, but Winterbottom is a great game with some head scratching puzzles to solve. For 800 Microsoft Points ($10), you will get a great game with an interesting story, plus a nice set of challenge levels with it's own achievements to unlock. 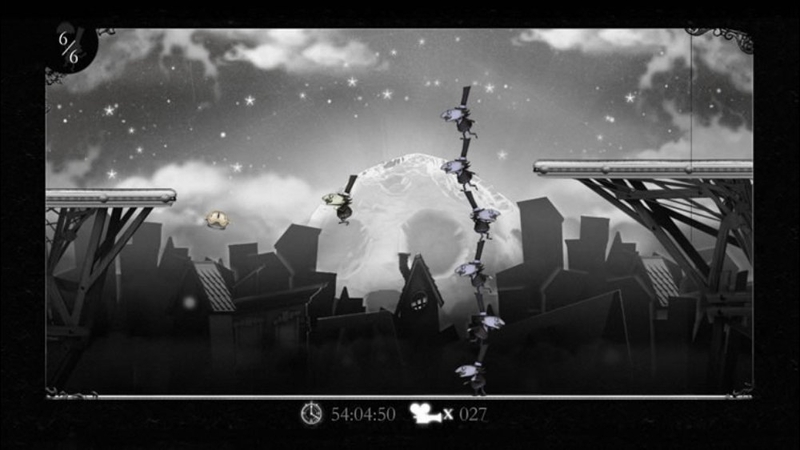 Gameplay varies from level to level, but your main goal is to solve the puzzles in the level to obtain more pies for Winterbottom, and fully harness his ability to record and clone himself in order to advance. The Five worlds all introduce small mechanics with the cloning so you have to stop and understand the new rules you will have when recording your moves. Say for instance there are two switches in a level, you would first record yourself jumping onto one while making sure you have enough time to reach the other one, and then watch your clone perform the act while you jump on the other switch. This is just a basic example, as things will get a bit harder than this. The game is mostly in Black & White, with key features changing colors that help identify objects and tools you will use in the game. The Story details why Winterbottom has an knack for stealing pies, and is pretty funny and interesting. Overall this is a great Arcade game that will keep you busy for a few hours.